The Strategic Air Center Model 2411 is designed for use in hospitals, server rooms, and all types of facilities using backup-generator, 115-volt circuitry. The unit combines the convenience of 115-volt power with a high-capacity unit that takes up minimal space. The cooler is 20 inches wide, 42 inches long and 42.5 inches high. 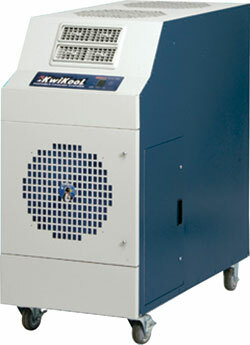 Facilities can use the 2-ton unit for primary, supplemental or emergency cooling. The unit is ETL and CETL listed to UL and CSA standards.